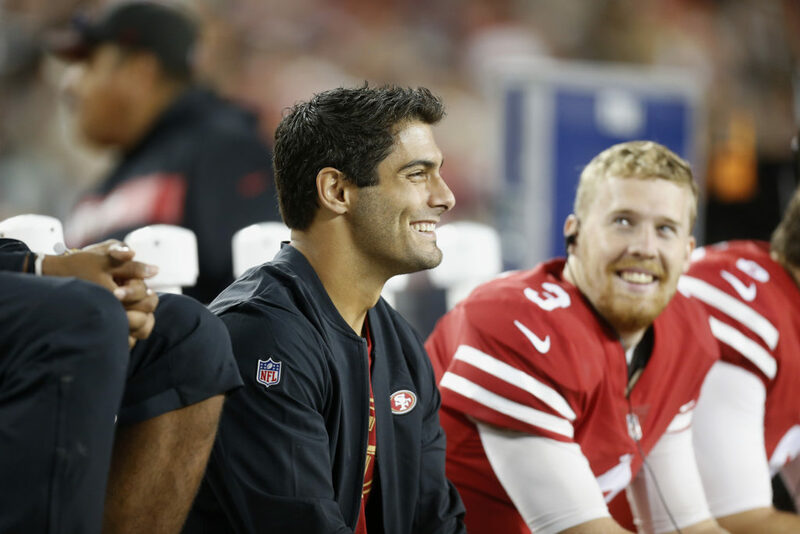 Jimmy Garoppolo: "I like to think I’ve made some progress." SANTA CLARA — This is the transcript of Jimmy Garoppolo’s Wednesday press conference, courtesy of the 49ers P.R. department. I hope JG and the Niners take advantage of the defensive speed, by allowing them to over run plays, then cutting back. I hope they line up Morris deep in the I, and let him build up a head of steam before crashing through the hole. JG just needs to relax, have fun, and concentrate on scoring TDs.